Toney is moderate sized, gives his great deapth of body to his offspring. He is very correct in his stride and has great top and bottom lines. 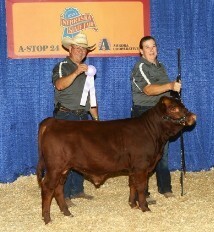 Shown 7 times, has been the Grand Champ 5 times and Reserve Grand Champ twice. Shown here at age 3 at the 2011 AGM. --- All animals are PHA and Chondro free. ---Any animal born 2013 and beyond is parent verified. ---All animals are halter trained except as noted. ---We stand behind our animals and our sales!! 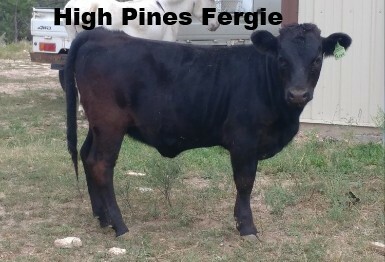 Ferley is wide, long and deep bodied! 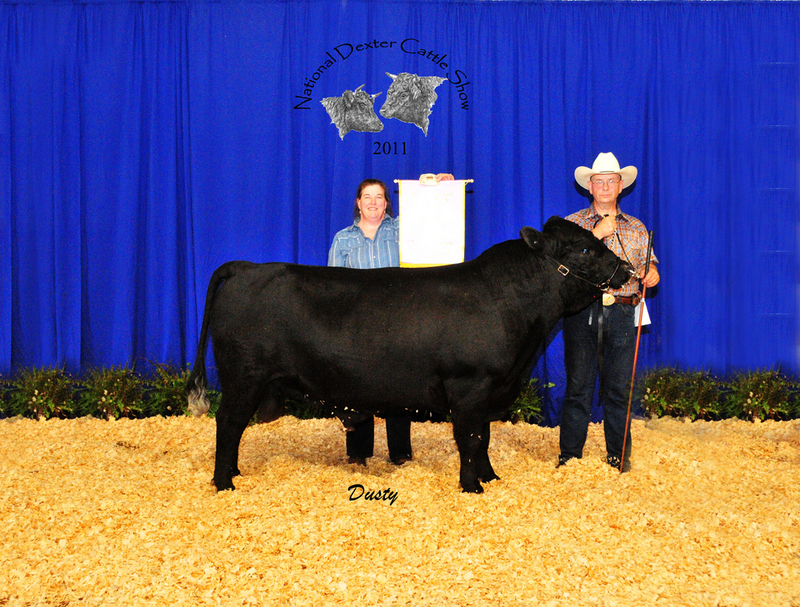 2017 ADCA National Reserved Grand Champion Bull as well as several other Championships​. We have several of his offspring and are very happy with them. Structurally correct with an excellent gait. Thick and deep bodied. very calm. Has been shown and has done well; Reserve Grand Champion Bull at Central States Fair, Reserve Champion bull calf at Nebraska state Fair. 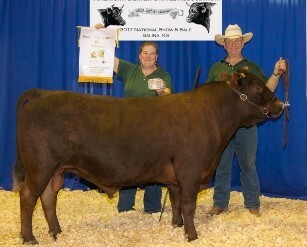 Both sire and dam are multi time Grand Champion animals. 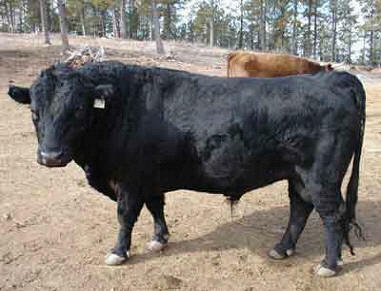 We will have 1-2 heifers available at weaning time (Mid October). Call for up to date pictures and to reserve now.